CHAMPAIGN, Ill. (WLS) -- A University of Illinois basketball player is in jail Thursday night on charges he hit a woman. He's the second Illini player to be arrested in the last week. 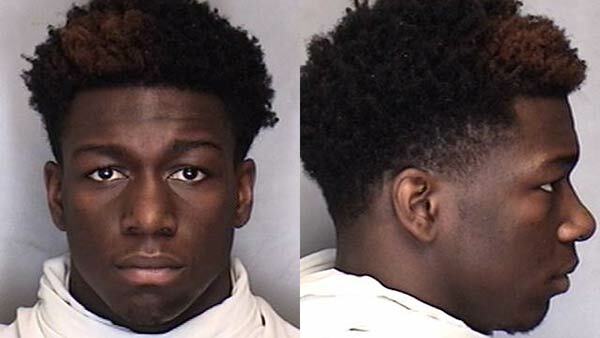 Junior guard Kendrick Nunn is charged with misdemeanor domestic battery after police say he struck a woman near the Champaign campus Wednesday. Nunn, 20, was a star at Chicago's Simeon High School. On Saturday, Illini point guard Jaylon Tate was charged with domestic battery. He was arrested just hours after Illinois lost to Purdue in the Big Ten Tournament. Nunn is the fourth Illinois player to face charges since August. Darius Paul was dismissed from the team after being arrested in France on a team trip. Leron Black has pleaded not guilty to aggravated assault after an incident at an Urbana nightclub.